At international level, industrial clusters have drawn the attention of researchers and policy-makers through their role in revitalizing local economies and generating regional growth. This article analyses the way in which the Italian footwear and textile companies have transferred the concept of Marshallian district from the “Third Italy” to Western Romania. Empirically, the study explains why and how the Italian shoe and textile-makers have relocated their basic production activities to Timişoara. The analysis reveals the development path of the cluster in Timişoara in the context of important barriers to innovation and lack of visibility for local and regional authorities. The landscape pattern of the Romanian urban system has experienced significant transformations as a result of the rapid and irreversible changes undertaken after the fall of the communism. In Romania almost 34% of its total population are living in metropolitan areas. The paper is aiming to analyse the landscape-related challenges land-use/land-cover changes in the Romanian metropolitan areas in relation with the main factors involved in the patterns of change: demographic, political and natural. 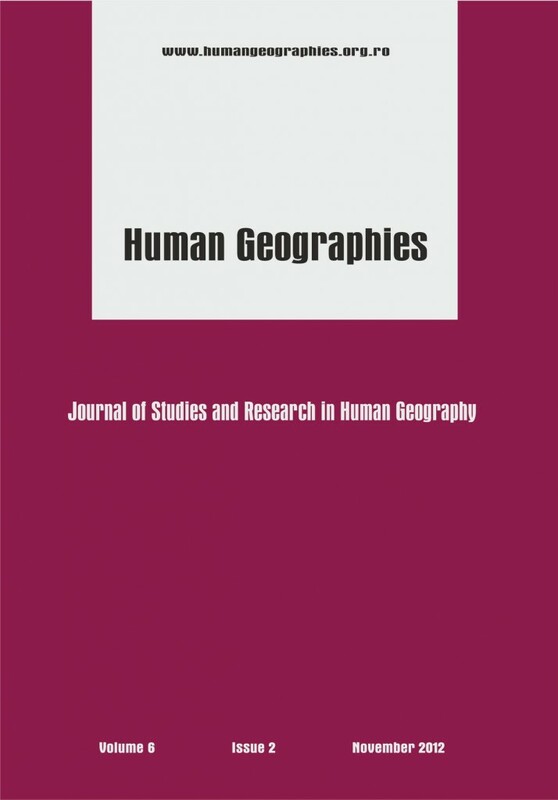 Based on the investigation of relevant cartographic supports of the last 20 years, the authors are making use of different GIS methods in order to conduct a series of complex analysis of the spatial-temporal landscape challenges. The paper will mainly focus on four metropolitan areas considered as case-studies: the capital-city (Bucharest) and the three functional metropolitan areas (Oradea, Iaşi and Constanţa), each metropolitan area is facing different patterns and causes of change. Spa tourism is one of the oldest forms of tourism which continuously evolved in time as the leisure industry paradigm and the consumers’ behavior changed. Similar to other countries in Central and Eastern Europe, spa tourism is an old phenomenon in Romania which expanded to the dimensions of a well defined tourism industry during the mass tourism period which also corresponded to the communism epoch. Although severely affected by the major political and socio-economic changes which occurred after the Revolution in 1989, this industry coexists with new emergent forms of tourism orienting, itself towards new dimensions embraced by the contemporary leisure consumerism (e.g. medical tourism, cosmetic treatments). Lying on considerable balneal and climate resources and displaying an important communist heritage both in physical terms (large and massive tourism structures) and in virtual and psychological terms (social supportive ticket granting system), Romanian spa tourism faces various challenges in the attempt to adapt in a new tourism era. The main objective of this study does not focus on analyzing exhaustively the urban – rural relations, but it is trying to emphasize both a theoretical interpretation and the applicability of the concept of rural-urban interface by pointing out the ways of determining the dysfunctionalities in the evolution and population structure of an administratively defined area. In order to point out these dysfunctionalities, analyses were performed at Botoşani county level, considering all the geodemographic indicators regarding the population dynamics, natural and migratory balance, and population structure. The study is based on data provided by population censuses and the statistical records of the basic territorial administrative units (communes and towns), for the period 1990‐2008. Out of these indicators only those significant for the characterization of the human potential of the urban-rural interface and for an assessment of the polarization capacity of the seven cities in the county were selected: the size of the territorial administrative unit in 2008, the population dynamics during 1990 and 2008, and the human potential standardized index. The results showed differences between the complexes(interfaces) urban-rural from the western part of the county (Botoșani, Dorohoi and Bucecea) and the Eastern one (Darabani, Săveni, Ștefănești and Flămânzi), which should promote the concept of treating the two areas (urban and rural) as a whole through the implementation of programs / projects of cooperation between local governments and various internal and external partners, the main objective being diminishing the differences (not only the demographic ones) between the two parts of the county. The functional typology of human settlements is shaped, among others, by their political-administrative function. Its distinctive place is determined by subjective factors, such as the political-administrative decisions, which have changed the course of some settlements to the benefit of others, or reverted them from their normal, natural evolution. That means outside involvement in space organization to the detriment of self-organization, the latter being the outcome of the permanent tendency of territorial systems to rebalance from exogenous factors-induced dysfunctions. Lately, the country’s territorial-administrative organization has been steadily challenged years over the past few based either on the 1925 administrative map, or on the disparities in the structure of the present counties and the economic and social fluxes going on at the local level of the settlements system. In view of the above, we have attempted to work out an optimal model for the administrative organization of Romania’s territory by proceeding from the distance between communal seats and the town towards which they gravitate. The latter’s capacity for discharging an administrative function, and the relations of subordination or competition amongst these towns in also discussed.